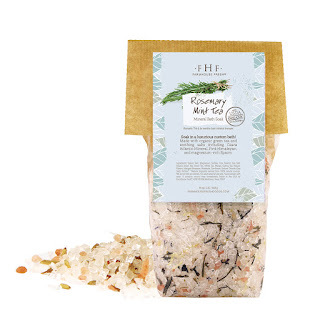 Living a Fit and Full Life: Soak the Day Away with FarmHouse Fresh's Rosemary-Mint Gourmet Mineral Bath Soak! 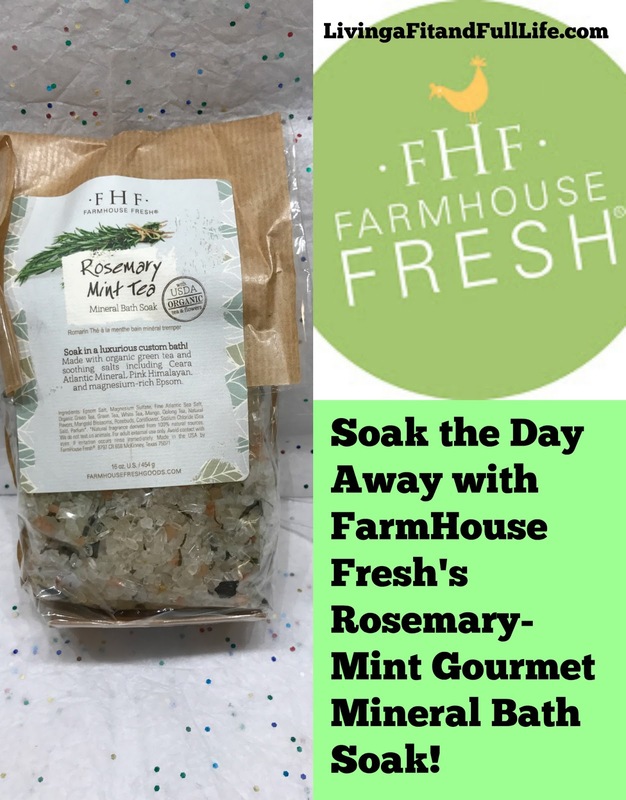 Soak the Day Away with FarmHouse Fresh's Rosemary-Mint Gourmet Mineral Bath Soak! Sore muscles are in for a sumptuous bathing soak! Our custom blend includes Atlantic Ceara, Pink Himalayan and Epsom salts, scented with natural rosemary and mint oils, and mixed with a rich array of organic teas and flowers like organic green tea, marigold blossoms, rosebuds and more. FarmHouse Fresh's Rosemary-Mint Gourmet Mineral Bath Soak is the perfect way to soak the day away! As a runner, wife and homeschooling mom of 4 Lord knows I need away to de-stress and relax my muscles. My just about daily bath soaks are how I manage it all. 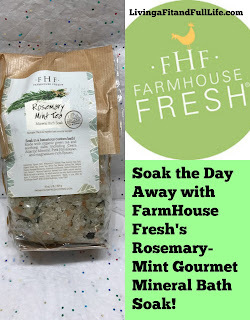 I've always loved taking a bath but now as an adult I've begun to use mineral bath soaks and I have to say none have been quite relaxing as FarmHouse Fresh's Rosemary-Mint Gourmet Mineral Bath Soak. The rosemary mint combination is fabulous for relaxing achy muscles and it smells heavenly. I also love that it's mixed with an array of organic teas and flowers like organic green tea, marigold blossoms, rosebuds and more. My bathtub looked, felt and smelled just like a luxurious bath at some spa retreat. 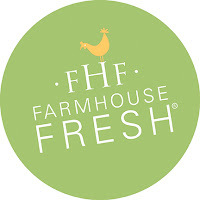 FarmHouse Fresh's Rosemary-Mint Gourmet Mineral Bath Soak is amazing and I highly recommend you all try it!